Deborah Williams is an Alzheimer’s advocate and a Community Outreach Specialist at the Alzheimer’s Association. 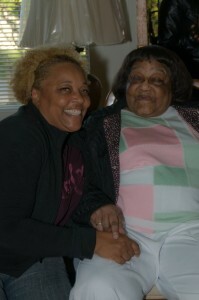 She will be speaking at the 8th Annual African American Caregiving and Wellness Forum on Saturday, April 16 in Berkeley. Debbie shares her story below. 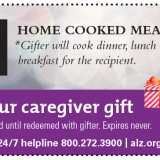 How was your family affected by Alzheimer’s? My precious mother, who was also my best friend, had Alzheimer’s. All the signs were there but they were ignored because I knew absolutely nothing about Alzheimer’s, there wasn’t a family history and honestly, it wasn’t a disease that African Americans were concerned about. My mother began flooding the house because she’d forget that she was running bath water. A few days later she would almost burn the house down because she forgot that she had something cooking on the stove. Then she started getting lost while driving to familiar places. My first thought was a brain tumor of some sort. The doctor ruled out my tumor theory and referred her for cognitive testing, which suggested dementia. It was a total shock to me and my family. It was very difficult because many family members were in complete denial and my mother did not willingly or easily give up her independence. I had a long sad journey ahead. I immediately quit my job so that I would have more time to figure out how I would care for my mother and straighten out years of potential financial ruin. Most of my days were spent crying and praying while surfing the web for answers as I watched my mother slowly fade away in front of my very eyes. What made you volunteer at the Alzheimer’s Association? My advocacy work is personal. My mother died as a result of Alzheimer’s on October 4, 2009. I was there with her every day and every step of the way. My family had always been very close knit and my mother meant the world to me. I didn’t think that I would be able to live without her. It broke my heart into a million pieces and hurt like hell to watch this cruel disease erase my mother’s memory of those she loved and then kill her. 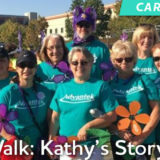 I initially started volunteering as an advocate because I was sad and angry that Alzheimer’s had taken my mom from me. I wanted to fight back for my mom. While I still fight in my mothers honor, I also fight for me and you, because everyone with a brain is at risk of developing Alzheimer’s. I fight for a better life for OUR children and grandchildren. I fight because Alzheimer’s is a public health crisis and our state policy makers must take action now to confront this silent epidemic. We need more funding. We need more research. We need more education. We need more advocates. We need to END Alzheimer’s. What did this experience teach you? Alzheimer’s is a disease that African Americans should be very concerned about! Everyone with a brain is at risk! Early detection is Key! Race matters! 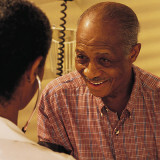 African Americans have the highest risk of developing Alzheimer’s among all ethnic groups. However, African Americans are less likely to be diagnosed. If we are diagnosed, it is at a later stage of the disease when we are more cognitively and physically impaired, when we need more medical care, and when we have less opportunity to offer input into their long-term care and financial plans. What advice would you give to other caregivers? The most important lesson I learned as a caregiver is don’t attempt to fix the person or correct them, it only adds to their frustration. 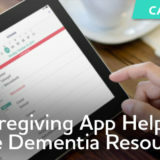 Call the Alzheimer’s Association or visit alz.org to get connected to services and resources. Learn as much as you can about the disease. Cherish each day with your loved one. I will be talking about my mother and our journey in an effort to educate and help someone. 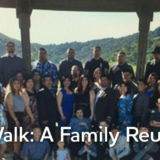 I will also be encouraging more people, especially minorities, to sign up for the Alzheimer’s Association’s Trial Match or similar clinical trials looking for a cure for Alzheimer’s. African Americans are unrepresented in clinical trials. If researchers are to find a treatment or cure for Alzheimer’s in all ethnicities, people of all races must volunteer for clinical trials to make sure drugs are both safe and effective for everyone. We can all participate and we must. It would be terrible if 20 years from now there was treatment or a cure for Alzheimer’s for everyone except for the population that is most affected by the disease – African Americans.